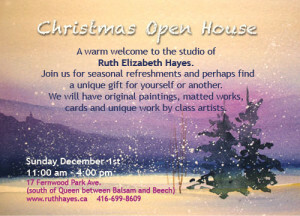 Beach Studio Tour 2005 – 2008. 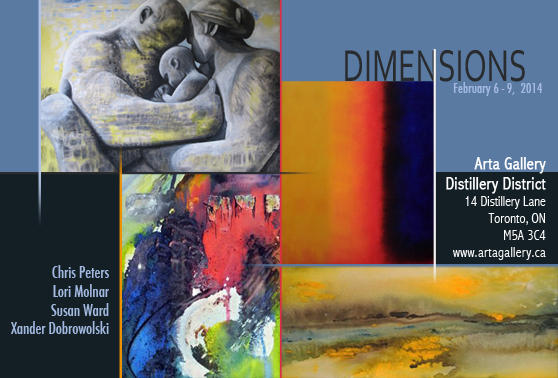 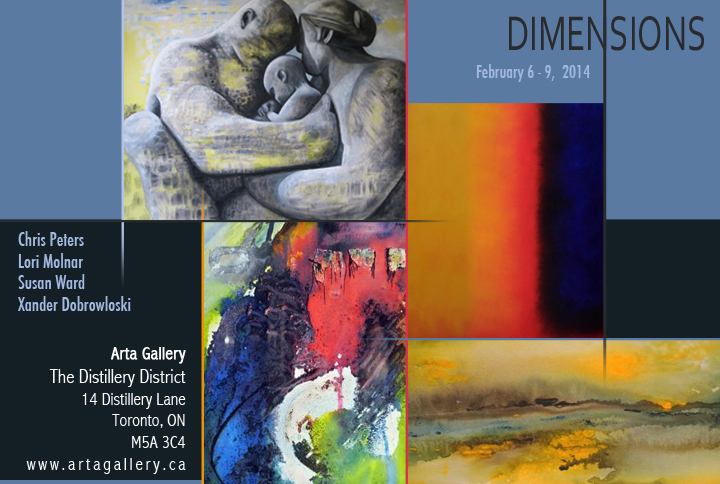 February 6th 2014 hosted an exhibition, with 3 other artists; Lori Molnar, Xander Dobrowolski, and Chris Peters, at the Arta Gallery, Distillery District. 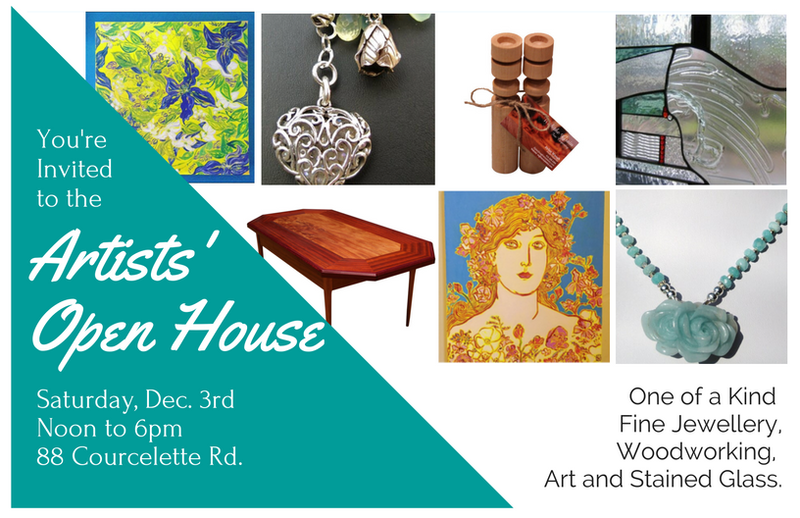 I enjoyed the pleasure of sharing the home studio space of artist and art teacher Ruth Hayes with three fellow students, for a Christmas open house art show in 2013.